Q: I have a rental condo that I want to sell due to some financial issues and I could really use the money. My tenants have had three one-year leases and asked that I give them a new two-year lease because they say they love my rental condo. Because I was unsure of my finances, I let their current lease expire so that they now are on a month-to-month rental agreement. My understanding of our state law is that I am simply required to give them a minimum of 60 days’ written notice to terminate their tenancy. Can I give them 60-day notice and then have the unit vacant for selling? A: Yes, you can give them the required notice to vacate. In some areas you may be required to give the tenants a reason for the termination of the tenancy. Even if not required, I think it would be a good idea, as the tenants deserve to know your reasoning. But besides just being a fair and reasonable landlord, there is another potential positive aspect of explaining your situation, as you might find that your current long-term tenants are interested in purchasing the condo from you. You might even consider offering them a limited first right of refusal or excluding them from the listing agreement with your real estate agent if they are qualified and interested. 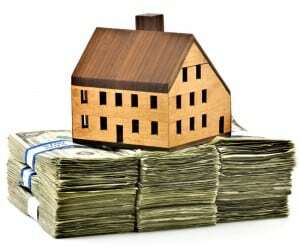 You could also offer them a net price, as you wouldn’t have to pay real estate commissions. While you may not need help finding a buyer, I would strongly advise that you retain or consult with a real estate professional or an attorney to assist with the procedural aspects of the transaction. Remember that a real estate professional does a lot more than just market your property. Even if your current tenants are not willing or able to buy your condo, I would suggest you take the time to consider another option before giving your tenants notice. I know that many real estate agents have very strong opinions about the benefits of selling a property when it is vacant. I cannot disagree with that practice, especially when the most likely buyer is planning to be an owner-occupant. But in today’s market, I believe that there are many areas in the country where there are more investors than owner-occupant buyers. While much of the nation has experienced very high unemployment, there seems to be a tremendous amount of investment capital seeking good-quality real estate for the long-term investment opportunities and as a hedge against what some see are likely to be inflationary times, in light of the record government spending projected for the next decade. While there are many opportunities for real estate investors to buy vacant and often foreclosed rental properties, you might actually be able to attract a better offer from a real estate investor if you can show that your tenant is paying a reasonable market-rate rent and is seasoned. Many real estate investors are wary of some investment opportunities in the current economic climate, as it can take quite some time and a lot of expense to prepare a vacant unit for rent, market the property, screen the prospective tenants and still have zero cash coming in during this time. Wouldn’t your rental condo be more attractive to a real estate investor who is looking to rent out the property if you can tell the investor that you have a long-term tenant who has been in your property for three years and wants to stay for at least another 24 months? Long-term, quality tenants and low turnover are keys to success for rental property owners. So I would suggest you contact a local real estate broker who knows the local market and the type of likely buyers before you send out a notice to your great tenants. You could be disrupting their lives and actually hurting your chances to sell your rental condo for a great price in a short time. Remember that most investors will be looking to obtain financing, and a lender would certainly like to see an established tenant in possession. See Robert Griswold’s feature, Rental Standoff Over Broken Refrigerator.